Sharon Jones and The Dap-Kings new album I Learned the Hard Way, out April 6th on Daptone Records, is the latest chapter in the soul sage of Sharon Jones. Less funky, more soulful, this album is slower and deeper. 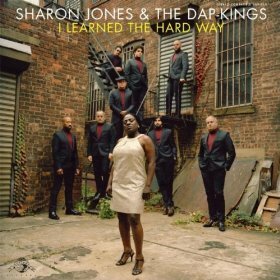 Less of a dance party and more of a soul-session, Sharon Jones and The Dap-Kings have more to say this time around. In the same way 100 Days, 100 Nights, their third album, represent a progression and maturation from their first two releases, I Learned the Hard Way is the next step in their evolution. The French horns in the opening few bars of the album are a sign of what’s to come: down-tempo, soulful songs that tell a story and convey emotion. Woeful ballads like “Window Shopping” and “The Game Gets Old” reflect the mature, well-traveled identity of the band. The intricate horn arrangements on instrumental tracks like “The Reason” tell a little story all their own. “Better Things,” my favorite song on the album, is a more upbeat display of maturity, but it still expresses an urgent dissatisfaction. The band is getting older and has already proved they can play infectiously funky music. Now they’re putting out music that’s honest, music that conveys their weathered emotions. “Mama Don’t Like My Man” is a hand-clapping, raw soul song that speaks to the authentic down-home style at the core of who Sharon Jones and The Dap-Kings are. Simply a guitar, bass, some hand-claps, foot-stomps, and harmonized vocals combine to create as true and soulful a song you’re likely to hear. Honestly, I was a little surprised when I heard this album for the first time. I was expecting some raw funk, authentic dance music. This album isn’t that. It’s more than that. It’s raw, authentic soul music that tells a story. Put on one of their earlier albums if you want to have a dance party. 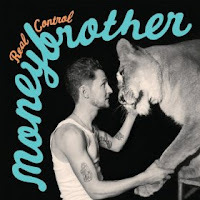 Moneybrother makes quite the impact with Real Control and all the magic is inside of it. The artist behind the name Moneybrother is Anders Wendin formerly the vocals behind Monster. The music is alive and hot with influences peppered in from countless rock and indie sources. There is very little reason to frown when you’re listening to this album because it’s way too much fun. “Not That Old” is a song I would not only love to hear in a bar but think it’s a fantastic drunk sing-a-long song and everyone should have to opportunity to hook an arm around their friends and belt it out. Wendin’s voice has a broad range and brings a different vibe to every song he sings. “I Just Feel like Hurting Somebody” is cruel humor wrapped in a song. The words are sadistically scary but put to a fun and peppy beat. Real Control was obviously made with love and the fun in it is undeniable. The jams are perfect for the warmer weather heading our way. A Sunny Day In Glasgow’s 2009 album Ashes Grammar was a seemingly endless breeze of chanting siren-like female vocals and rhythmic, shimmering soundscapes. This EP, a single for that album’s “Nitetime Rainbows,” finds the breeze swirling further along thanks to three new songs and three remixes. The corresponding “Daytime Rainbows” seamlessly extends from the title track; a haze of ethereal vocals atop propulsive rhythms and densely distorted yet gentle guitars. I’d hate to say they have this sound down to a formula, but it’s a formula that works, especially on the next two new tracks, “So Bloody, So Tight” and “Pianos Lessons,” whose gorgeous swirling vocals, atmospheres and processed guitar distortions move along on beats that can be both driving and pulse-like. The three “Nitetime Rainbows” remixes don’t necessarily add much new perspective to the album track (which itself sounds like it could be the remix of some other song), other than playing up different aspects of its gauzy atmosphere. Though the “Acid Wash Edit” is notable for its careening, mutated distortion, and the “Ezekiel Honig Remix” takes a much more mellow approach that’s pure chill, something that wouldn’t be out of place on that last Slowdive album. 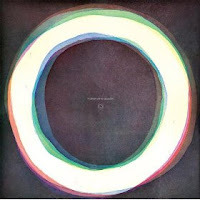 Either way, reverb is king here, and this EP is a perfect half-hour of sunny, midday dreaminess. As with “Ashes Grammar,” there isn’t even much need to think too hard about what you’re hearing, just put it on and catch the breeze. 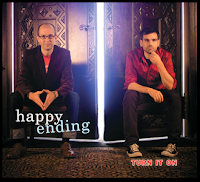 Happy Ending’s Turn It On made a dull first impression. When I first turned the music on I thought my stereo glitched and The Counting Crows were on. Nope, it was correct. Happy Ending hauntingly reminds me of Hard Candy and the vocals along with it. What Turn It On really is, is an upbeat album two guys had enough talent to put together. Soft backgrounds make way for strong vocals to shine through. The voice that belts out the lyrics is great, my wish was that there were more background vocals to make it more three dimensional. I feel that the vocals we hear have the potential of a great range but it is just not being reached. The percussion pops out nicely but I miss the bass and guitar that would normally blast through in an album with such a strong front man. My bottom line is that the album is a bit too fluffy. There are great instrumentals and vocals that are too safe and tame where they could be melting speakers and driving points. 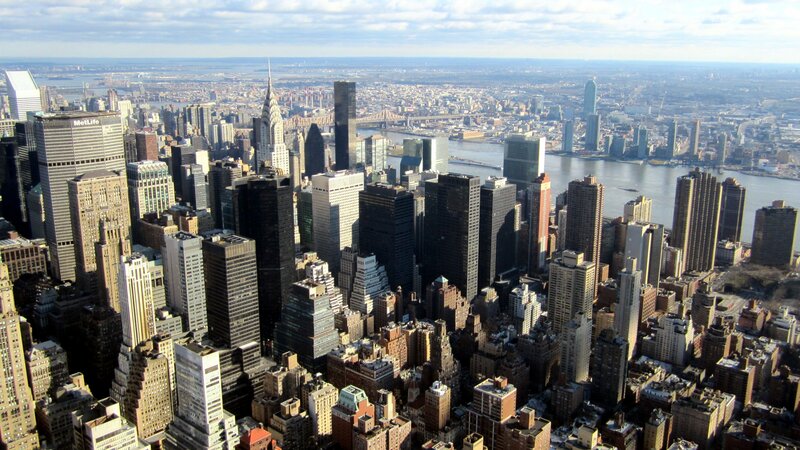 I want to hear instruments groaning, pianos slamming and lyrics being belted with heart behind it. 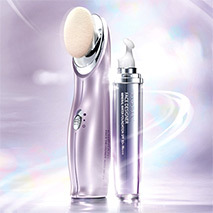 Dare to go the extra punch to make the greater impact. 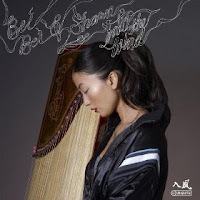 Following in the footsteps of their previous effort, Beauty And The Beats, Bei Bei teams up with ubiquitous Ubiquity producer Shawn Lee for a second-round soundclash between ancient instrumentalism and contemporary electronics. On Into The Wind, loungy grooves and hard-hitting funk beds support the diminutive Chinese guzheng player’s sonorous excursions. Recalling the classic, exploito/world/funk of Ananda Shankar, Dorothy Ashby and even Yma Sumac (check out her little-known psych-funk nugget, “Miracles”), Lee intuitively fuses eastern tonalities with western modalities. Horn stabs accentuate the guzheng’s staccato melodies; cascading strings propel songs forward into polyrhythmic bliss-outs; judicious effects like reverb (“The Blue Grotto”) and wah-wah (“Hot Thursday”) keep things interesting. Two tracks feature the sultry Georgia Ann Muldrow, recalling Alice Coltrane’s spiritual, incantatory phase. Despite the overall low-key approach, though, there isn’t a dull moment on Into The Wind. The better tracks are the longer ones, like the 7-minute “East,” where Bei Bei can exhibit her instrumental mastery and let it unfold in its own meditative time. If this weren’t a genre already indebted to the breakbeat for its creation, there would be plenty for DJs to mine within. Throughout, the backing tracks are funky enough to merit close listening but subtle enough to provide just the right beds for the complexity of the guzheng. Yet even with all the easily flowing synergy, the formula is most successful when Lee allows the thoughtful, traditional elements overtake the more frenetic, experimental ones. Longtime Producer/Programmer/Song-Writer, Atticus Ross, offers yet another excellent piece of work with his original soundtrack to the Hughes Bros. film The Book Of Eli. Given the film’s apocalyptic future subject matter, this score doesn’t fall in the traditional category. Ross, who is most associated with an electronic/industrial sound, brings those menacing qualities to the table but doesn’t over-indulge. There are a good deal of haunting tones and actual strings to keep the music from becoming something closer to a Nine Inch Nails album. Much like the Dust Brothers’ score for Fight Club, The Book Of Eli Soundtrack qualifies as much more than just ambiance for the action on-screen. It really can be considered an album in it’s own right, worthy of repeat listening, and not just the musical accompaniment to the movie of the same name. Without giving anything away, the film’s premise is somewhat bleak but not without it’s silver lining. The score presented here is very effective in reflecting that. For all it’s looming peril it still manages to display a sense of tranquility, albeit in brief snippets. 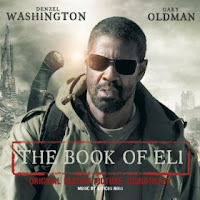 Though not typical, The Book Of Eli Soundtrack does conjure up the classic type of dark vibes you’d expect from such a film but with a more modern touch. 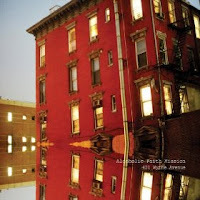 It stands on its own as an enjoyable album to take in numerous times. Alcoholic Faith Mission choose not to grab your attention. Their second album 421 Wythe Avenue begins with the intriguingly ambient “Theme From Soft Ice Cream Products,” a strange, murky collection of sounds that serves as an overture. The backwards guitar, pretty piano and numbed-out vocals will return frequently. The album ends with the wildly overlong “Sweet Evelyn,” 10:51 of ennui that’s a collection of blank verses over plodding strums and buried distortion. These Brooklyn by way of Copenhagen shoe-gazers will have to get up off the couch if they want to keep up with the manic burst of creativity that’s coming out of their adopted borough. 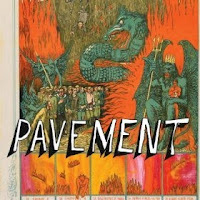 After ten years of silence and a career that includes five albums and a legacy of sonic and interpersonal discord, Pavement has just released Quarantine the Past: The Best of Pavement, a 23 song greatest hits album pulled from a cross-section of their catalog. The collection is far from a typical greatest hits album, partially because the band had no real conventional hits to speak of but it allows the listener to follow the band from their cassette tape beginnings to their abrupt ending while appreciating their special brand of melodic disharmony and witty sarcasm. While the song choices draw from across their tenure they are heavily pulled from the band’s two initial and most notable albums: Slanted and Enchanted and Crooked Rain, Crooked Rain including classic songs such as: “Here,” “Range Life,” “Heaven Is a Truck,” and their closest brush to a hit “Cut Your Hair.” All the well-known Pavement songs are included but what’s great about the band has never been their popular appeal, it’s their unique grungy and sometimes awkward garage sound paired with abstract poetic lyrics pulled from inspirations in classic rock, punk, and country and it’s well represented on the album. The collection mixes in terrific tracks like: “Shoot the Singer (1 Sick Verse)” from the Watery, Domestic EP and the Slay Tracks song “Box Elder” which helps show why the band’s been so influential with their smart melodies and bright raw feel. The album is the kind of thing that should be issued to everyone entering art school and is without question a must have for any fan of low-fi indie rock.